eBay Affiliate Program: Made My First Sale on HubPages! How to Make Money on HubPages Using eBay! 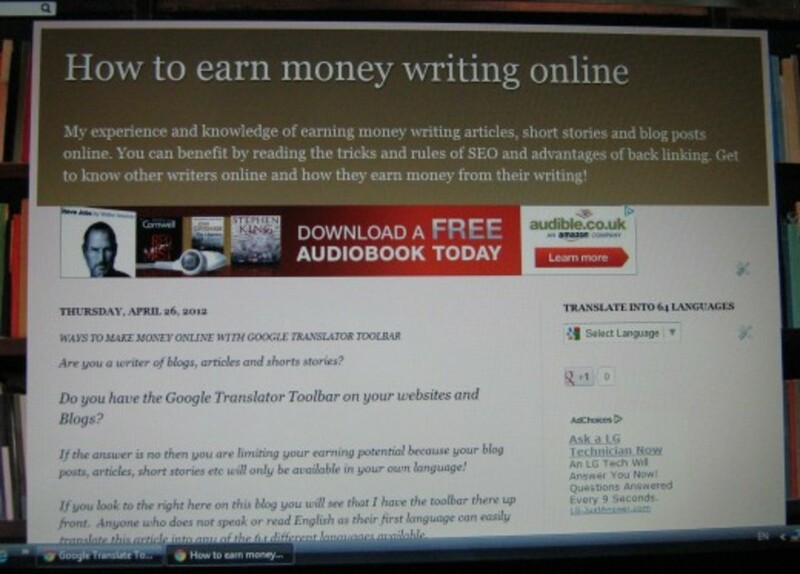 On April 22, 2012 I wrote a hub about getting my first HubPages Ad Program payout. On that hub, I explained that I added ebay capsules to my product hubs to accelerate my earnings. Today I checked my ebay sales report page and found that I made two sales from one of my hubs less than a week after adding an ebay capsule. 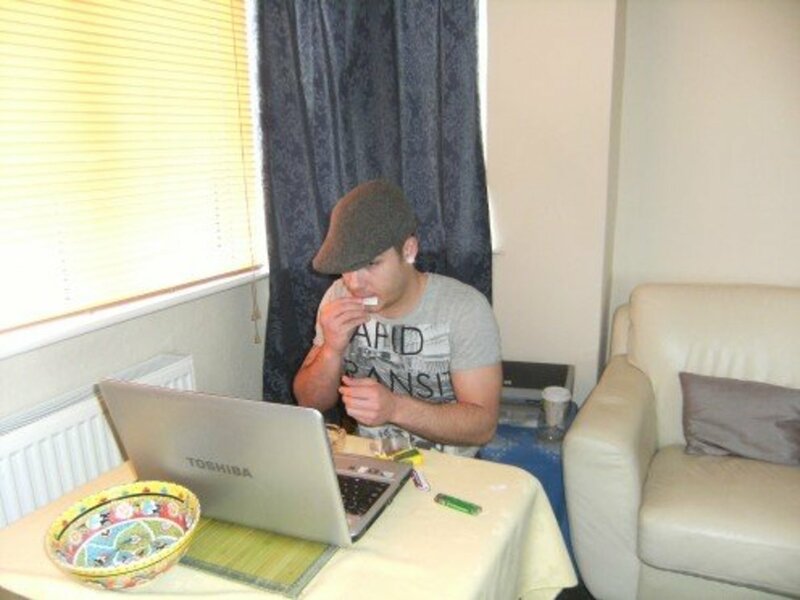 I am writing this hub because I promised to give regular updates on my progress and explain what I did. Products should be relevant to the topic of your hub.Here's what I noticed after reading tons of hubs. Some hubbers are writing hubs and then placing random products on there. If you are writing a hub about fishing, add an ebay capsule with your favorite fishing pole, bait hooks or tackle box. Don't throw on an ebay capsule with an ipad, HD TV or other high priced ticket item. You're not going to make a sale. Share your opinion on the product in your ebay capsule. Write as if you're telling your friend about how great this particular product is. There is a reason you own it or want to own it. Be specific and honest. Don't sound like a salesman. The placement of the ebay capsule is important. The page should look clean and seamless. You don't want to clutter the page with ads. You can use amazon and ebay on a page without making it look cluttered by adding other capsules with photos or polls. You don't need to use all six ebay auctions, sometimes less is better. You can use one or two auctions, especially if the other four auctions show the same product. Try to be as specific as possible when using keywords. It's better to have no auction displaying to have another unrelated product that displays because of one keyword in your description. I'm very excited about this new ebay income source. I learned the hard way about the importance of creating multiple streams of income. I will never depend on one site for all of my income again. Google algorithms change constantly and I've been effected by the actions they took against Squidoo and PayPerPost several years ago. For this reason, I try to have passive income from several sources. If one gets hit, I'll just add more content to the others to sustain the revenue. It's better than starting from scratch. Have you ever made any sales on HubPages through eBay? Yes! I'm here because I love to read about someone's success. No! Want to learn how to do it! On April 18, 2012 I had 93 sales in one day. Discover a few important things you should consider when you are creating Amazon sites, hubs or lenses. My Google Adsense payments cover my car payment. Want to know how you can increase your earnings? Discover the steps I took and implement them to get better results. Can I Make Money With a Blog? How I Earned Thousands. Share your comments or questions here! @Sonali Singh Good luckwith your ebay sales! Very informative hub. I will also try to get some sales out of my hubpages ebay capsules. @JasminRace You can apply to the ebay program through this site. I have never tried to get my own ebay partnership, so I couldn't give you any advice. You don't need an adsense account to earn money on HubPages. You can use their adshare program. Good luck to you! @CyclingFitness You may be disappointed to learn that you will not earn a chunk of that ebay commission. 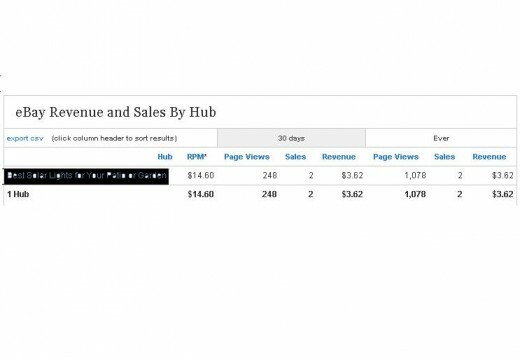 You only earn cents for clicks on ebay modules. On top of that, you don't earn on every click. I'm not really sure how it works, but I am not really concerned anymore. 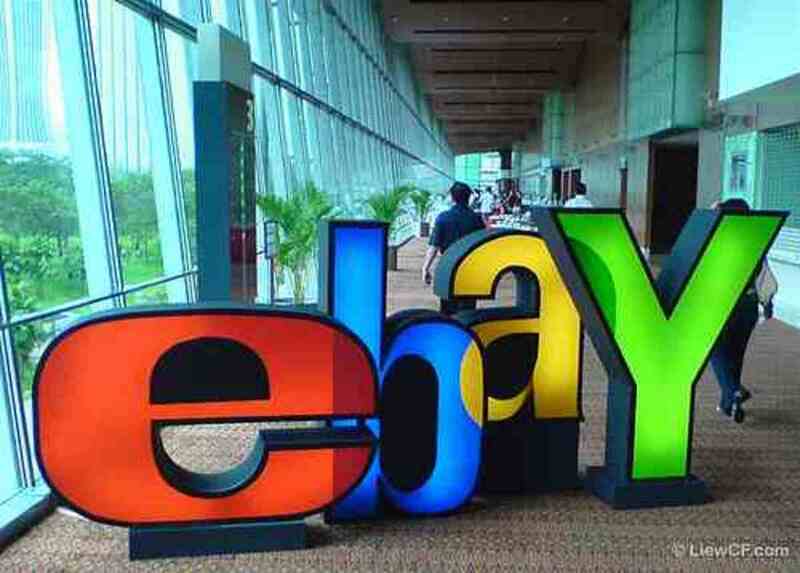 I earn a lot more using ebay modules on Squidoo. @maheshpatwal Thanks! You know, ebay earnings here are very low. Squidoo uses a different payout and I earn a lot more over there. Every time someone purchases a designer diaper bag from one of my lenses, I earn a $30.+ commission. 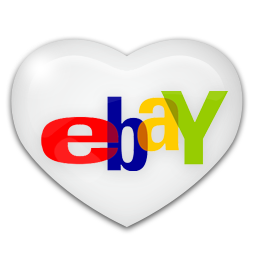 I add ebay modules to my hubpages, but will not invest time in creating ebay selling hubs. The hub either has to be informational or have amazon products for me to really make anything from it. Nice hub. I started with eBay on some of my hubs last month- 5 sales so far and counting- I had wondered how long it would take for payment so you've answered that with your 2 month comment above. I managed to sell a couple of pairs of nice bike tires this month but seem to be doing nicely from the PPC rates that are in place too. First of all congrats for earning the kick back from ebay. We all know how hard it is to earn a commission from ebay as out of very few clicks on ebay products 0.0001% gets converted to sales. Thanks for the great tips SuperMom_In_NY, I also create hubpages and lenses and really appreciate the fantastic tips that you have shared here. @The Reminder You get payments two months after the product is shipped, not ordered. If you don't get it, you should contact Amazon. Thanks for stopping by. Good luck! I have made a sale on ebay with a good revenue but I did not get any share of the revenue (60/40) and I am still trying to know why. Congratulations. That is an exciting milestone. Can you share what you sold, or is that not allowed? Voting this Up and Awesome. @inevitablesecrets I encourage you to add ebay capsules to your hubs as soon as you are accepted into the program. It is one more way to earn! I have been thinking about adding Ebay stuff but i haven't yet. i might now though. @Nikki D. Felder Creating hubs around the products you sell on ebay is a great way to double your profits. You get an ebay affiliate commission and your normal profit as an ebay seller. Win-win! 6 years ago from Castle Hayne, N.C.
@prairieprincess Thanks. Isn't it awesome?! I love to wake up in the morning to check all my accounts for my commissions. Do you use other sites? I always encourage writers to diversify. Congratulations for making your first E-Bay sale! That's very exciting. I haven't any sales yet on E-Bay and it's nice to see the commission is fairly decent. I just had my first big sale on Amazon and I was pretty excited. Have a great day! @moneytoplist Thanks for participating in the conversation! I can see why you haven't made any sales. Your hubs are informational. 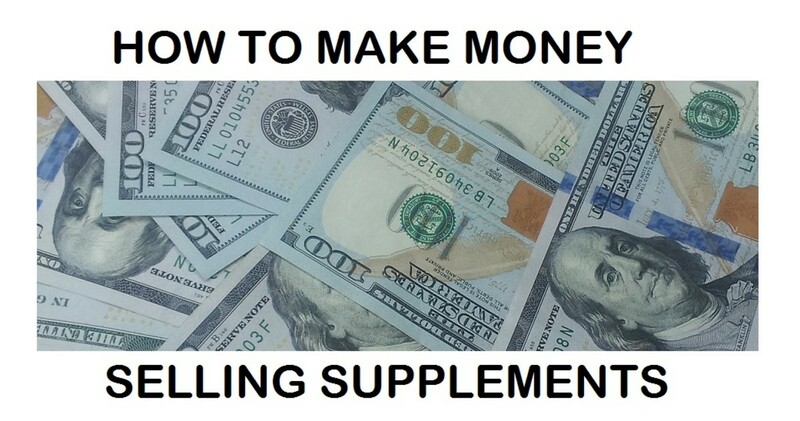 You would make more money through Adsense. I have 9 product hubs and that's where my sales have come from. I have over 1,000 pageviews and no ebay sale so I decided not to use the ebay capsule in my new hubs. I will see later how will the old hubs with ebay ads perform. @Lloyd D. Thompson You are very welcome. I have written a lot of hubs about my amazon sales, blog earnings and more. You may want to check them out because I reveal how to do exactly what I do to make money online. Try them out and let me know your results. supermom_in_ny, Thank you for the guidance. I for one need all the help I can get. Lloyd. Yea! I made one eBay sale in Jan or Feb after I switched to the HP Ad Program. I guess it would be best to write specific product-related hubs to make eBay work its best. Thanks for the hub tips. I am thinking about applying for the ebay affiliate program myself. I'm just waiting to get some more experience with the other programs I'm signed up with first. I don't want to sign up for too many things at once and then get so confused that I don't do anything. that is just wonderful! I applied for the ebay affiliate program through hubpages but haven't heard anything. guess it was a couple weeks ago. Can I try again, you think?